The Lord’s prayer – Len Bilén's blog, a blog about faith, politics and the environment. April 1, read through the Bible in a year. Luke 11, The disciples asked Jesus on how to pray and he gave them the pattern prayer, also called “The Lord’s prayer.” On prayers, be importune, ask, seek, knock, the key verse is: “ If ye then, being evil, know how to give good gifts unto your children: how much more shall your heavenly Father give the Holy Spirit to them that ask him?” Jesus healed a mute man and some said it was by Beelzebub (the lord of flies). 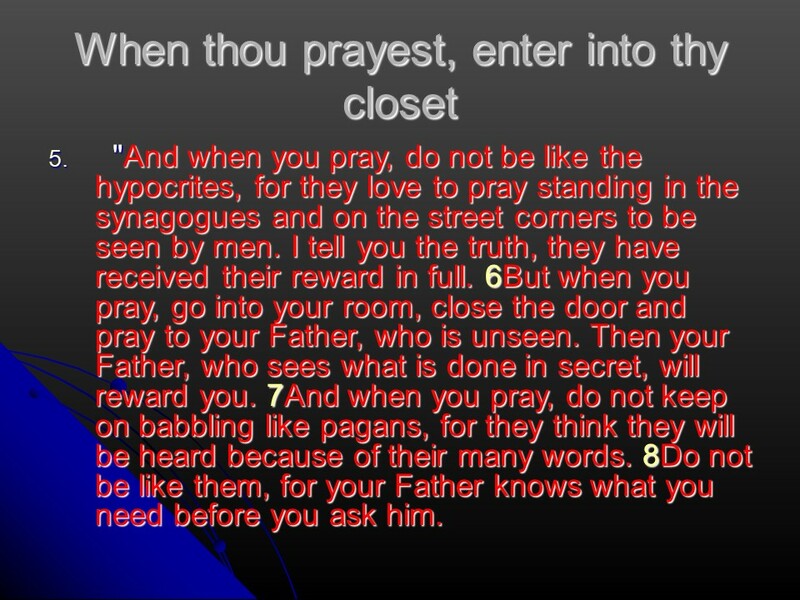 Furthermore Jesus states that he who hears the word of the Father is blessed. There shall be no sign except the Sign of Jonah, Your eye is the Lamp of the Body, let it shine. 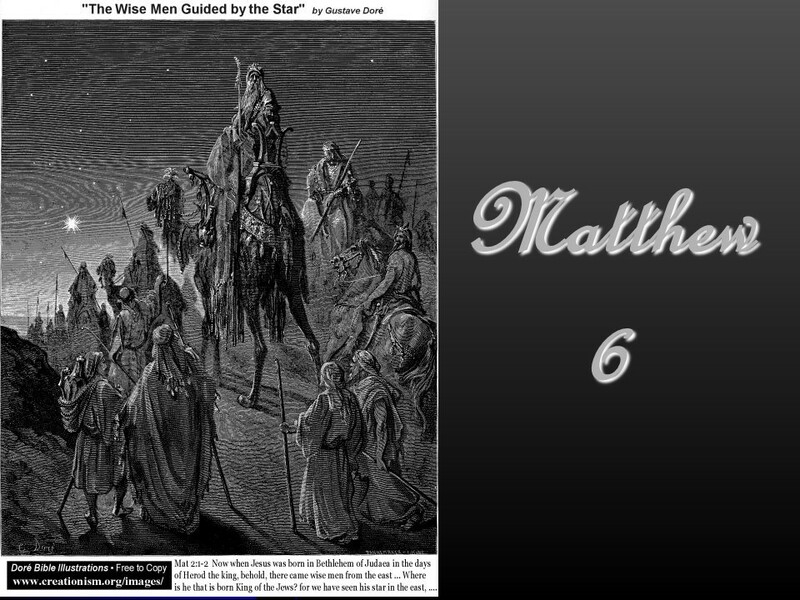 Finally, Jesus proclaims six woes. Joshua 7, after the tremendous victory over mighty Jericho comes the defeat at Ai. Why? Was it they tried to do it in their own strength or was it the sin of Achan? Posted on March 31, 2019 Categories Bible, faith, Joshua, Luke, thought for the day, Through the Bible in a year.Tags Ai, Christianity, faith, Holy Bible, Joshua 7, Luke 11, religion, The Lord's prayer, thought for the day, Through the Bible in a year.Leave a comment on April 1, read through the Bible in a year. February 1, read through the Bible in a year. 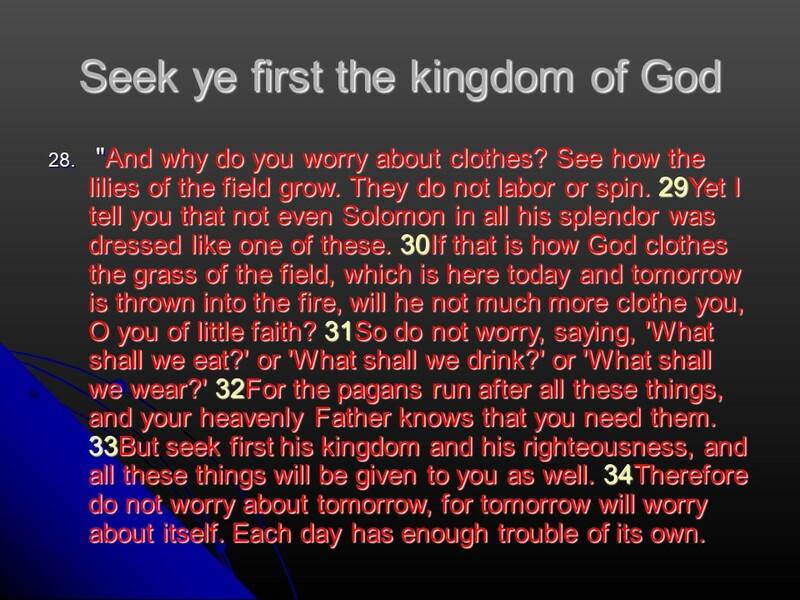 Matthew 6 continues the sermon on the mount. 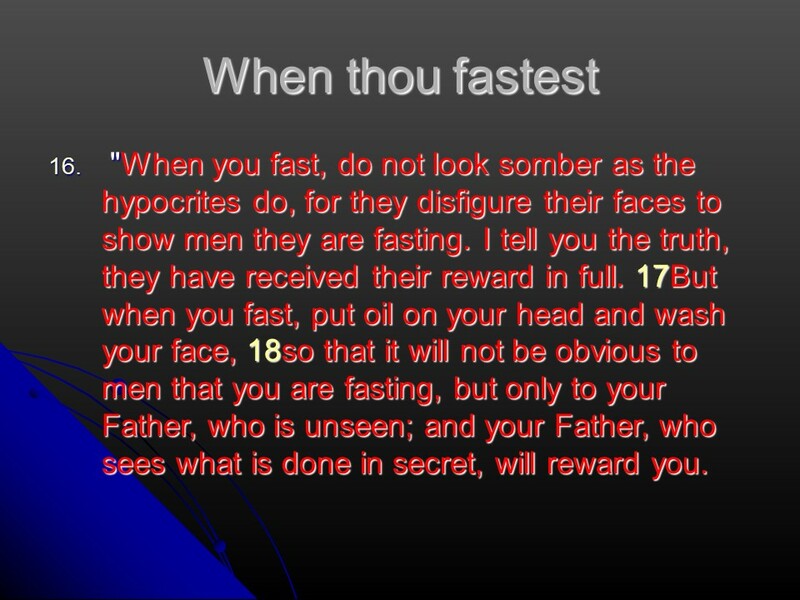 Jesus speaks of doing good, fasting and prayer, do it without fanfare, in secret if possible and be sincere. 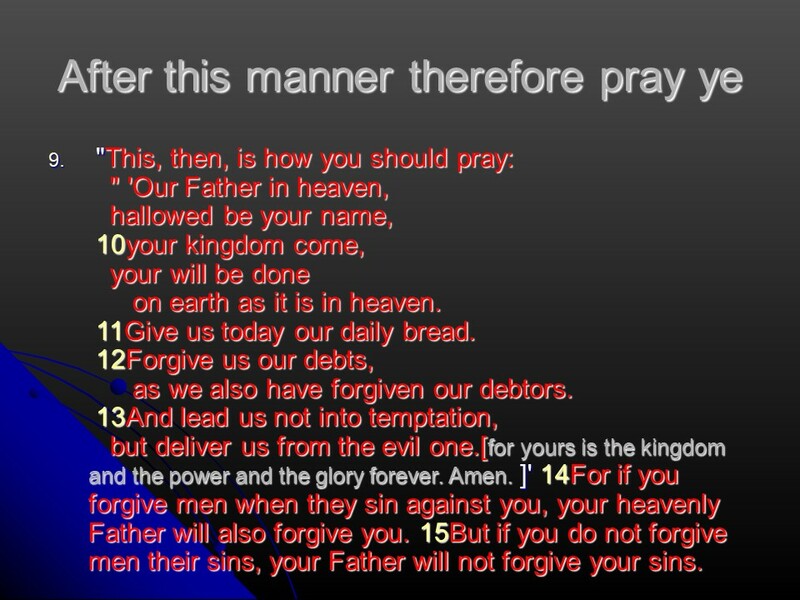 He then institutes what is called “The Lord’s prayer” which really is a pattern prayer for us, short, direct, but covers the essentials. 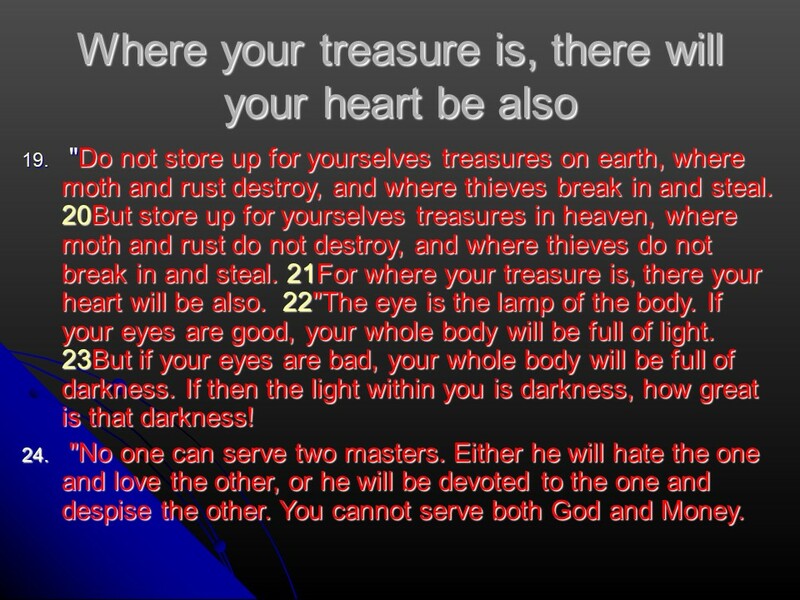 Then he continues recommending to store up eternal, spiritual treasures, not physical riches, for you cannot serve two masters, you serve either God or money. 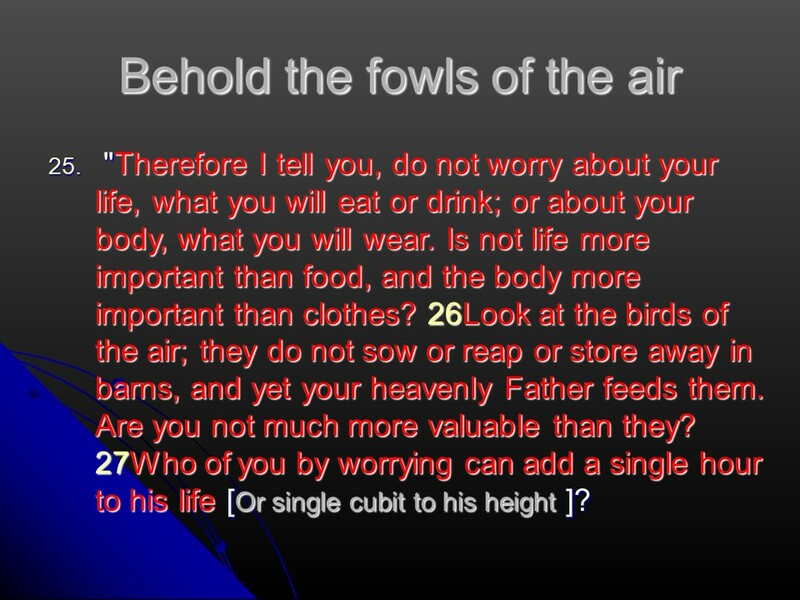 Then Jesus continues how foolish it is to worry about the future, concentrate what is important, seek first the Kingdom of God, and God will take care of all the other things. In Exodus 17 lack of water is a recurring theme in the desert. In Rephidim there was no water at all, so God told Moses to strike the rock at the foot of Mount Horeb. Water gushed out and they were all filled. Good it was, for the Amalekites attacked them right afterwards. Joshua and his men fought a good fight, and Moses helped by raising his hands, and as long as he held them high Joshua prevailed. But Moses got tired, so Aaron and Hur held up his hands till sunset, and so the Amalekites were defeated. Exodus 18 tells of Jethro, Moses’ father-in-law visits Moses, who now is in a difficult situation trying to lead his people all by himself, and Jethro gives Moses good advice about real leadership, delegation of management, a practice essential for all governing. In Exodus 19, time has come to visit Mount Sinai. God declares that the Israelites will be a Kingdom of Priests and a holy nation. The chapter deals with the three-day consecration that is to occur before Moses goes up to meet with God. Posted on January 31, 2019 Categories Bible, Exodus, faith, Matthew, thought for the day, Through the Bible in a year.Tags Christianity, Exodus 17, Exodus 18, Exodus 19, faith, Holy Bible, Jethro, Matthew 5, religion, The Lord's prayer, thought for the day, Through the Bible in a year.Leave a comment on February 1, read through the Bible in a year. 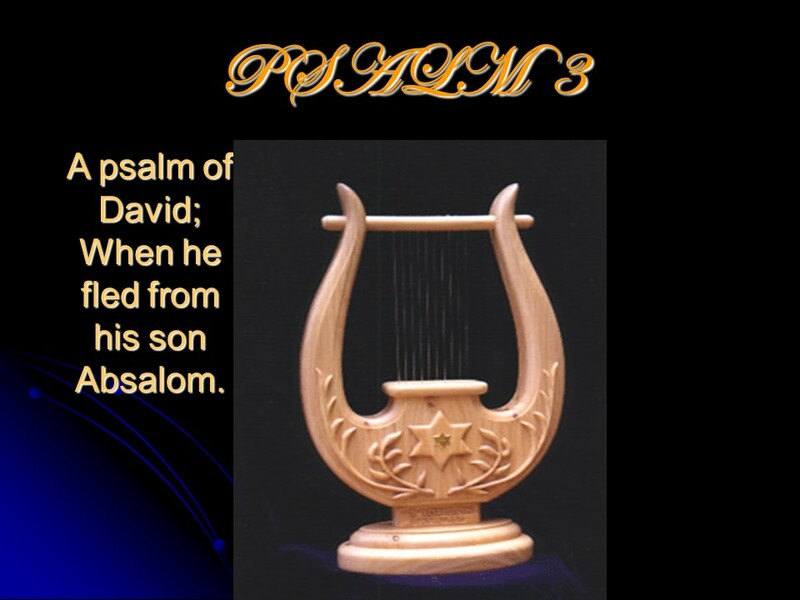 Posted on February 26, 2018 Categories Bible, faith, PsalmsTags Absalon, faith, Holy Bible, of David, Psalm 3, religion, The Lord's prayerLeave a comment on Psalm 3, of David. 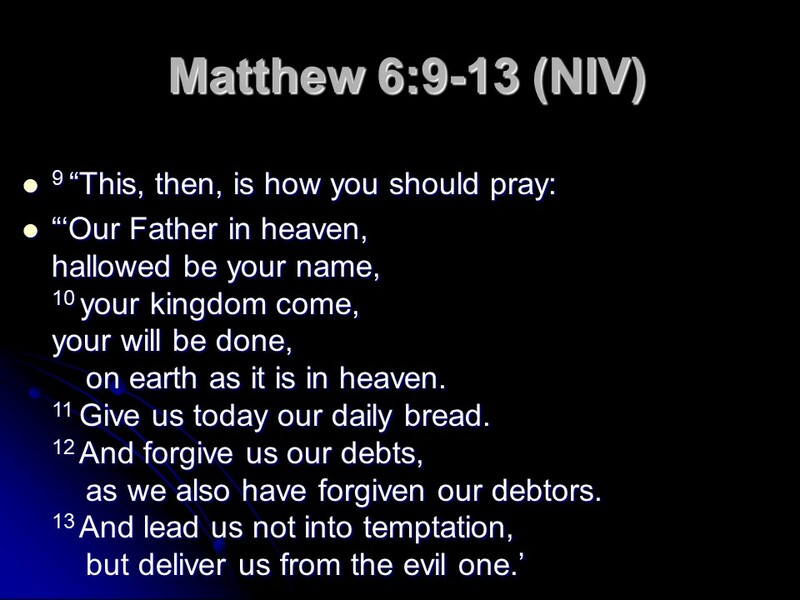 Matthew 6, do good, the Lord’s model prayer, fasting, treasures in heaven, God and Mammon, do not worry. Pope Francis has called for a rewriting of the Lord’s Prayer, saying the current translation gives God a bad name and, essentially, does not give the devil his due. In a TV interview December 2017, Pope Francis said that the line asking God to “Lead us not into temptation,” or in Italian, “non indurci in tentazione,” should be changed. και μη εισενεγκης ημας εις πειρασμον αλλα ρυσαι ημας απο του πονηρου and not bring us into temptation(or testing), but rescue us from – evil. The Roman Catholic church of France has changed the translation of this verse to “and do not let us fall into temptation” and somehow Pope Francis thinks this would improve on what God has said. Posted on December 20, 2017 Categories Bible, faith, MatthewTags faith, Fasting, Holy Bible, Matthew 6, religion, reward, The Lord's prayer, treasure in heavenLeave a comment on Matthew 6, do good, the Lord’s model prayer, fasting, treasures in heaven, God and Mammon, do not worry. Who tempted the Pope to want to change the Lord’s prayer? In a TV interview this week, Pope Francis said that the line asking God to “Lead us not into temptation,” or in Italian, “non indurci in tentazione,” should be changed. and not bring us into temptation(or testing), but rescue us from – evil. The Roman Catholic church of France has changed the translation of this verse to “and do not let us fall into temptation” and somehow the Pope thinks this would improve on what God has said. This is Apostasy. What the Lord Jesus has said is consistent with other passages in scripture, starting with the Garden of Eden. In it God had planted the tree of knowledge of good and evil. God also gave man free will, knowing man might make the choice to eat the fruit even if God had specifically forbidden it, since eating from it made man able to make their decisions apart from God. This is what the serpent promised Eve, and she fell for the temptation. Adam on the other hand ate from the fruit willingly, following the advice of Eve. This is why Adam’s sin was worse than Eve’s. The consequence was spiritual death, and the need for a redeemer arose, in due time represented by Jesus. Jesus too was led by the Spirit into the wilderness to be tempted(or tested). 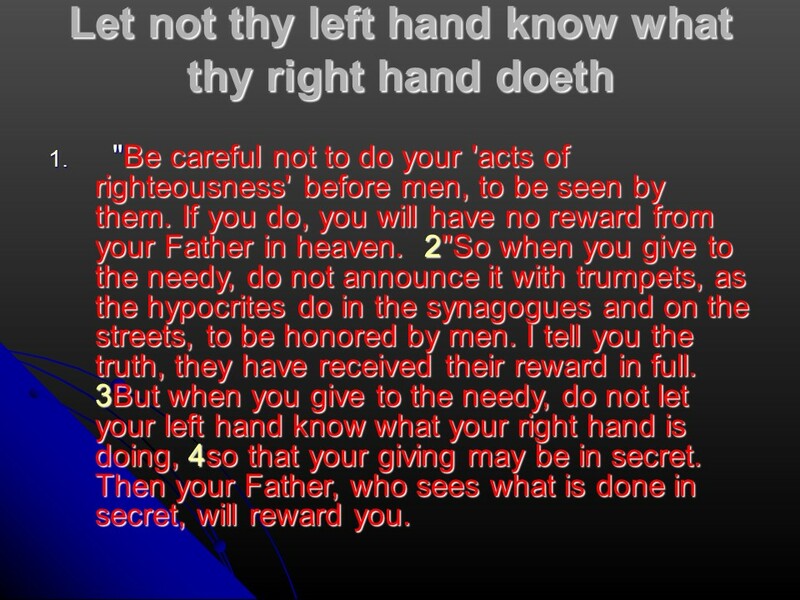 There the Devil tested him using scripture taken out of context to try to make Jesus fail the test. Jesus answered back with scripture applied correctly, and so he passed the test. The Pope seems to want to give the Devil full credit for all temptations, “The Devil make me do it” when in fact we have free will and are perfectly capable to fall for temptations all on our own without the Devil’s input. The Pope wants to change the world into one with no temptations, no guns, no hard liquor, no illicit drugs, no evil capitalism and no borders. But it is getting worse: By attributing to the Devil what the Lord is doing when he is testing us and we fall for the temptation, which we do, the Pope is elevating the Devil and diminishing, if not ignoring the final atonement: Christ’s death on the cross for our sins, rendering his resurrection of no value. It would then be all up to us to save ourselves. There is a special warning in Matthew 12:31-32 when we attribute to the Devil what the Lord is doing through the Holy Spirit: Wherefore I say unto you, All manner of sin and blasphemy shall be forgiven unto men: but the blasphemy against the Holy Ghost shall not be forgiven unto men. And whosoever speaketh a word against the Son of man, it shall be forgiven him: but whosoever speaketh against the Holy Ghost, it shall not be forgiven him, neither in this world, neither in the world to come. My question is: Who prompted the Pope to want to change the Lord’s prayer? Posted on December 9, 2017 December 10, 2017 Categories Christian, faith, lifeTags Christianity, faith, Pope Francis, religion, temptation, The Lord's prayerLeave a comment on Who tempted the Pope to want to change the Lord’s prayer?